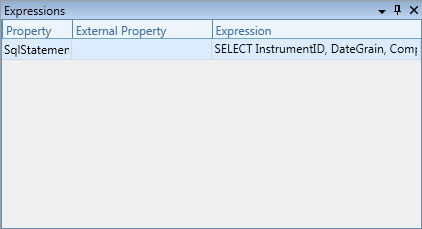 Certain tool windows only appear when a package is opened in the package editor. These tool windows are specifically for editing the properties of packages and their child items. They are listed below in alphabetical order. Event Handlers - Edit the event's name, and modify its type, in the data grid row. Beneath the data grid, use the designer surface to create a workflow for the event. Expressions - Select an expression's property, or enter an unlisted property, in the data grid row. Use the Expression cell to enter the expression. 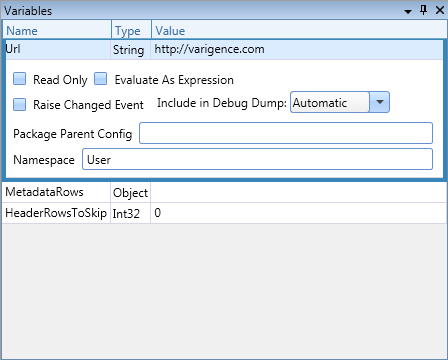 Use the cell's dialog button to open the Expression Builder dialog for more powerful editing. 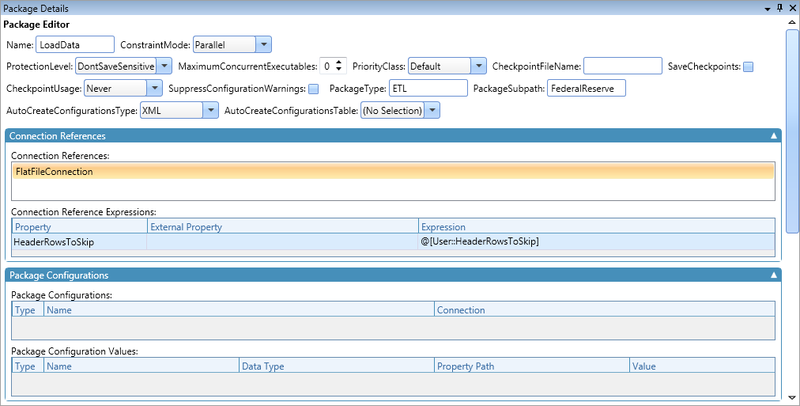 Package Details - Its content is updated to reflect the unique properties of a selected package, task, transformation, or precedence constraint. View and edit the selected object's properties within this window. 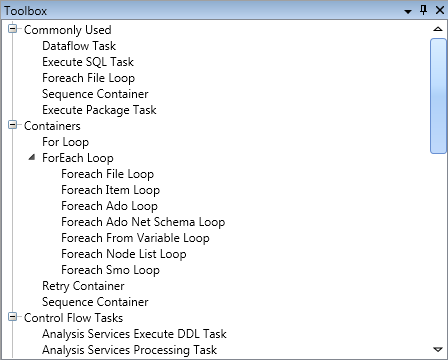 Toolbox - Lists items that can be added to a selected package, task, or transformation. The list is updated to display the appropriate items for the selected object. Drag and drop an item from the Toolbox to an editor to add it. Variables - View and edit the name, type, value, and other properties of a variable.